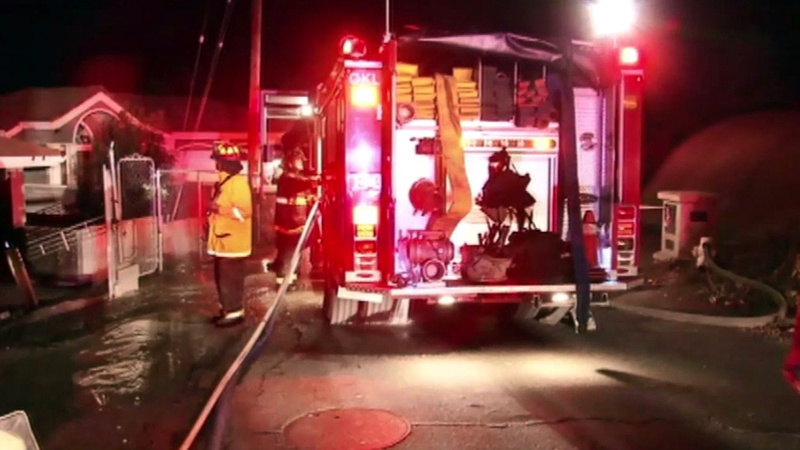 OAKLAND, Calif. (KGO) -- Firefighters have put out a grass fire before it could spread to homes in the Oakland Hills. The fire broke-out shortly after 3 a.m. Thursday on Elverton Drive after a transformer blew. Investigators believe the sparks caught the dry brush and started the fire. Crews had to go down a steep hill to reach the fire and put it out.